One twelfth of the year is gone already, but I’m making decent strides in both my dividend income, net worth and reducing my cost of living. It’s been an exciting month and I’m thrilled to share my monthly progress. Dividend income is, of course, the keystone to my early retirement. I’ve been working on building a safe and growing stream of dividend income over the last 5 years, and the benefits are becoming more and more transparent! This month I received $946.16 in dividend income! On average, I was paid $32.62 from 29 different companies!! This month’s dividend income is a great 89.2% increase over January 2108. 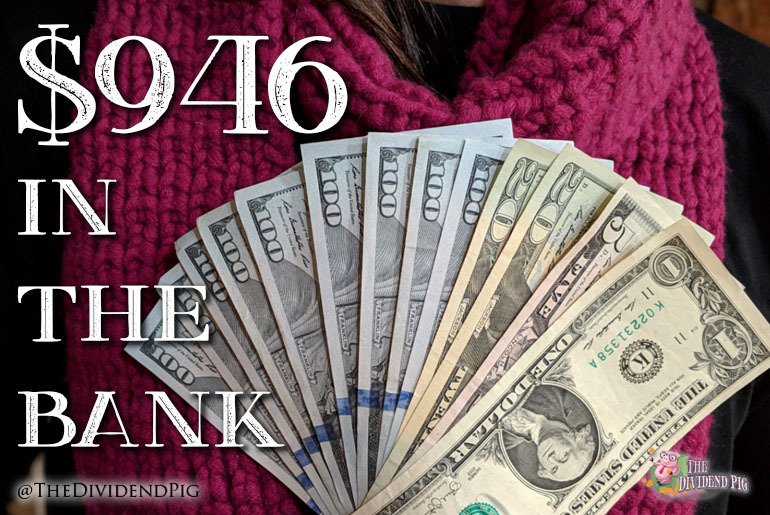 That’s $446.21 more dividend income than last January, which is no small chunk of change! January’s dividend income covers a lot, including my utilities, groceries, internet and cell phone for the month. Here are the realized dividend increases I received this month. Dividend growth is a very important part of my early retirement and this is clearly one of my favorite reports to produce! This January I received 8 dividend increases! This month, only 3 of those dividend increases were over 10%. January’s dividend increase adds $56.76 in annual dividend income! While this wasn’t a super dividend growth month, all dividend increases are great to see. This month looks much better! A huge bounce back from December’s disappointing report. As you can see, cash took a huge hit this month. This was because I fully funded both of our Roth’s and also padded the after tax brokerage account. I was a little late adding to the party in January during the huge dip, however, I did manage to put quite a few bucks to work in the end of December & January. The cash I’m sitting on might have a new home, at least temporarily in a few months. But right now, the money is sitting in a high yielding money market account and earning 2.45%. In an effort to reduce our costs, we have been strongly considering a move. I talked more in depth about this here. This move would allow us to null out our mortgage expenses and have a fully paid for house (after we sold our current home). A very cool and necessary step (for me) to realize early retirement in a few years time. We started looking at a new construction home from one of the big national builders. Wow, new homes are nice! The rub is, these planned track home communities are much further outside of the city and have extremely small lots. Production builders are good at putting up homes quickly. That is a plus and a minus. All the model homes we have walked through had glaring problems, mostly cosmetic, but some structural (which is ridiculous)! Anyway, we found a location we like in the price range of $330 which is what we are willing to spend. This would be a home that we would build. We pick a floor plan, elevation (what it looks like from the outside) and “upgrades” that fit into our budget. We don’t know yet what the full costs are for these “upgrades” but we plan to stop by the design studio to get a real idea of the cost. I like the idea of making those decisions, waiting a few months (but thoroughly inspecting it at every stage) and having a brand-new house complete. In a future post, I will share the woes of our current home. Not only is it to big for us, but we have been exhausted by unforeseen issues that have tired us both mentally and physically. With regards to numbers, fortunately, buying a new house seems to have a different track record then buying a brand new car in terms of value retention. As far as the rental, we heard nothing this month and the tenant paid on time! We have another exciting month in the dividend books. After December’s ugly nose dive, it’s great to see this reversal. Buying the dip has been a very productive strategy for the last few years. I wonder how long that can continue? The Fed pulling back on their rate raising trajectory has been obviously well received. One thing is for sure, this “new” data dependent Fed certainly is waffling around a lot. With something as important as our economy, you want them “watching the data”. One can wonder, what the heck they were doing before they were data dependent? Either way, I’ll continue to put money to work into the best dividend stocks I can find. I’m sure you’ll do the same! Love that massive disney payout! The house move sounds like a smart play. who wouldnt want to be mortgage free? Thank you! The mouse (DIS) is finally doling out that cheese 😉 The house is still in the works. 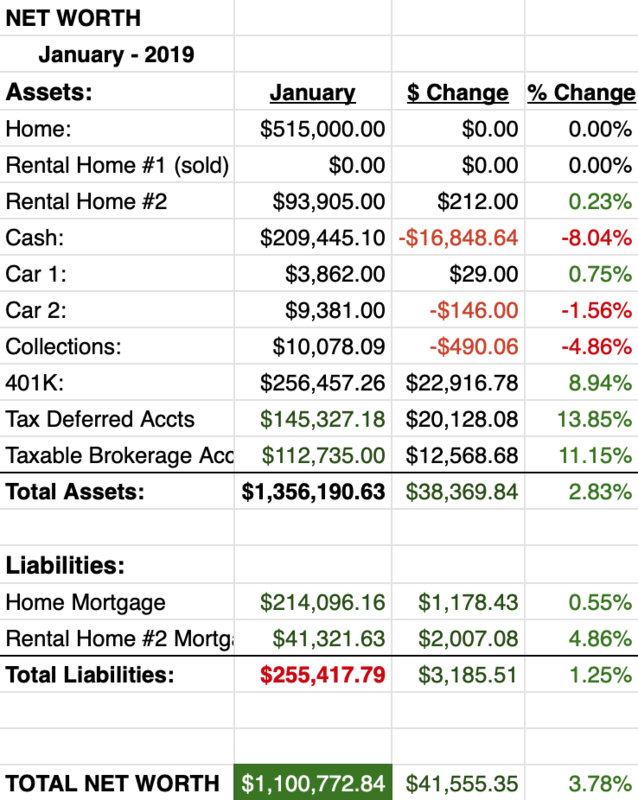 A lot of variables that still need to hammered out… but, not having a mortgage would be INCREDIBLE! As always, great to hear from you! Excellent, excellent month all around Dividend Pig. I’m really liking what I am seeing here and the results you are continuing to post. Keep up the great work and keep the hustle alive. Those dividend increases received are only going to help fuel this FIRE and bring home more bacon.